If you’re a hot tubber in a drought area, you’ll want to read all about soaking to save water. The first thing you need to know is that hot tubs use less water and energy than bath tubs and most showers. Your hot tub session is good for your health. It’s also good for the environment. Consider that a person who takes a bath every day uses 350 gallons of water every week – enough to fill a hot tub that’s drained only a few times a year. People mainly take baths and long showers for soaking therapy and to warm up during the cold winter months. With a hot tub, you can get all the warmth and soaking benefits and save water too. 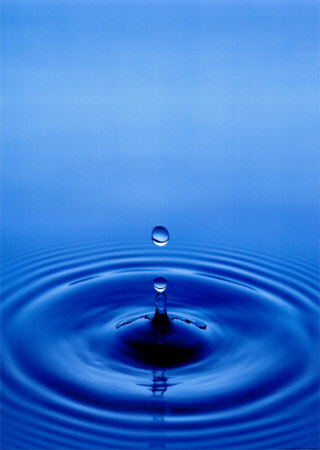 Daily consumption of water in America totals about 40 trillion gallons a year. There are approximately 6 million hot tubs in the United States. Traditional chemical maintenance requires draining the hot tubs once every three months – just four times a year. That’s 1,400 gallons a year of water drained from a 350-gallon hot tub, totaling 8.4 billion gallons from all 6 million tubs – a drop in the 40-trillion-gallon bucket. You can use even less. 1. Keep it fresh. A system like SilkBalance or Hot Spring Spas’ ACE Salt Water Care can mean you need to drain only three times a year – a 25% savings! 2. Cover it up. Keeping the hot tub cover secured when not in use helps reduce water evaporation. Make sure you have a high quality cover with a tight seal. 3. Plug it. Check for leaks regularly and repair them immediately. 4. Recycle it. Before you drain the tub, let the chemicals neutralize so you can use the water for irrigating your lawn or garden. You can save it in rain barrels to use later. Owning a new hot tub is one of the best ways to conserve energy and water. 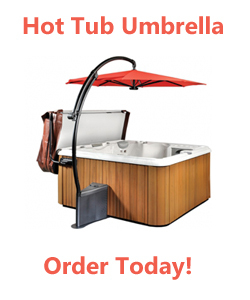 Well engineered hot tubs like Hot Spring Spas have energy-efficient pump systems and full foam insulation. During cold winter months, a soak in the hot tub helps you relax while increasing blood flow to all extremities. That means you can stay warmer, turn down the thermostat, and get a good night’s sleep. In the summer, you can lower the heat on your hot tub and use it as an energy-efficient way to cool down. And a quick cleansing shower after your soak can keep hundreds of gallons of water from going down the bathtub drain. Many thanks to Terry Arko, Recreational Water Specialist at SeaKlear, manufacturers of the best natural clarifier for hot tubs, for being my co-author on today’s blog.